Get a Fast and Free quote right now! Need great lawn care in Richmond? Trust Weeded! Lawn Service with all of your mowing and maintenance needs. From cutting your grass weekly (on time – every time, according to your schedule), to the best landscape upkeep services available in the Central Virginia area – Weeded! 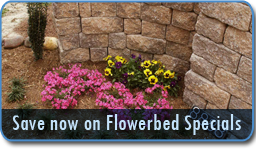 has what your yard needs! And there’s more! We also offer mulching, pruning, trimming, plus additional turf and hardscape care to all Richmond, Midlothian, Chesterfield and Glen Allen area homes. 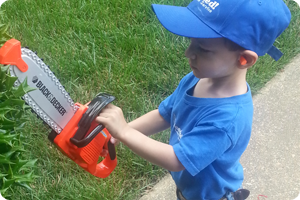 We are your year ‘round yard maintenance solution with summer just being the beginning. 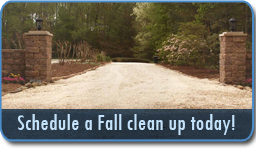 Each week from the beginning of November to the first Friday of December, leaves on driveways, walkways, decks, and in the grass areas will be picked up and removed during our regularly scheduled visits. If you have a designated area for leaf storage, we will place them there; otherwise we will remove them from your property. We return in mid to late December to perform a more through cleanup, during which time we will again remove any stray leaves from the grass and hard surfaces, as well as remove leaves from beds easily accessible to our crew. In January we wrap things up with a final cleaning. We also offer lawn aeration and over-seeding services to help make your lawn its greenest and best possible so that your yard shines during mowing season and makes your home the envy of the neighborhood. Please call us today to start your lawn care off right! We proudly serve the Richmond, Virginia area including Chesterfield, Glen Allen and Midlothian.